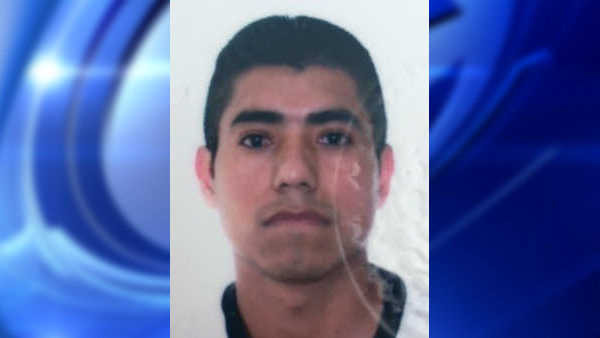 WILLIAMSBRIDGE, Bronx (WABC) -- Police believe the suspect wanted in the shooting of his wife just feet away from their sleeping children on Christmas morning may be headed to Mexico. Investigators say 37-year-old Rafael Herrera and his 27-year-old wife were fighting just before 10 a.m. inside their home in the Williamsbridge section of the Bronx when Herrera pulled out a gun. He shot her in the arm and neck, then fled the scene, according to the New York City Police Department. The victim's family said she had asked for a divorce. Herrera has relatives in Mexico, said police, and they are expanding efforts to find him, releasing his photo nationwide. The victim is expected to recover. She was taken to Jacobi Hospital in stable condition. Their children were not injured. Herrera is described as 5 feet 8 inches, and was last seen wearing a blue sweatshirt and blue jeans; armed with a firearm.